The Tanuki Tanto is a simple utility/fighting knife inspired by the Japanese Tanto which had several uses in the lives of Samurai. This version features some differences from the traditional knife which make it a bit more utilitarian, while maintaining most of the the deadly efficiency possessed by an authentic reproduction. 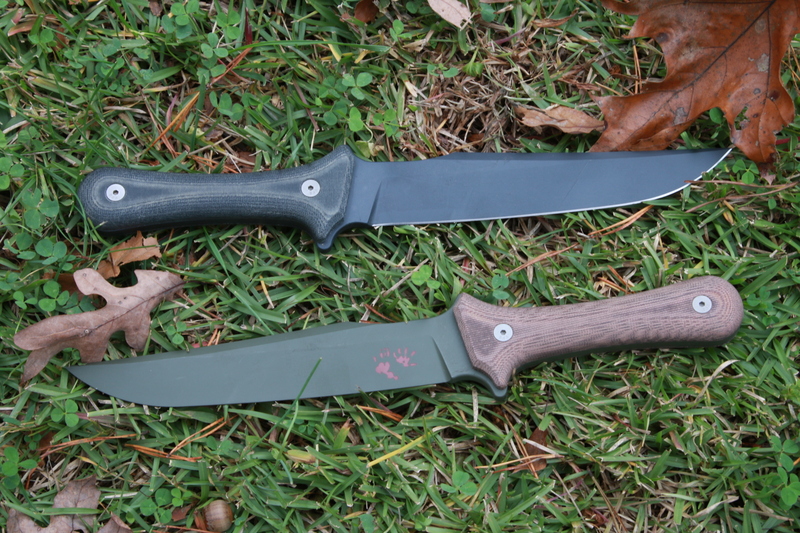 The handle, shared with several other of our small knives provides some user adaptability because of its simplicity and lends itself to a possible traditional wrap job because its concave midsection leaves room for ribbon or paracord without becoming too bulky. The offset hilt angle creates more ergonomic and comfortable reverse grip.